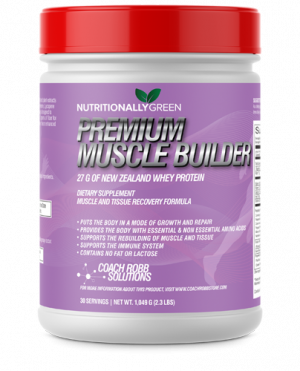 Premium Muscle Fuel contain amino acids are the building blocks of protein in the body; they are essential for the development of muscle, structural proteins, enzymes, hormones and neurotransmitters. Amino acids are also involved in numerous metabolic pathways that affect exercise energy levels. Premium Muscle Fuel contain amino acids are the building blocks of protein in the body; they are essential for the development of muscle, structural proteins, enzymes, hormones and neurotransmitters. Like all our supplements, Premium Muscle Fuel™ is made of only the highest quality to ensure that your body can absorb the ingredients for maximum effectiveness. Your body’s ability to absorb what you consume is commonly referred to as bio-availability (a fancy way of saying your body is actually absorbing what it is consuming verses passing it as waste). 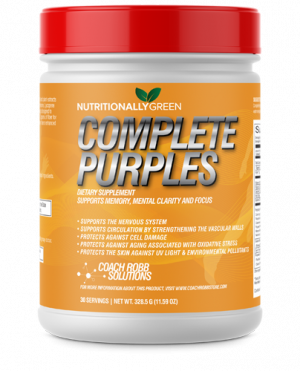 With the ingredients being of such high quality, your body will absorb a higher percentage of the Premium Muscle Fuel which will provide you with all of the associated benefits and less being lost in your urine. Products that are not of high quality are not absorbed by the body and pass through your system as waste. This product contains licorice. Women with hormone sensitive conditions should avoid using licorice. Do not take this product if you are pregnant, diabetic, have hypertension, congestive heart disease, liver disease or kidney disease. Not recommended for use by individuals under the age of 18 or without parental permission. Amino acids are the building blocks of protein in the body; they are essential for the development of muscle, structural proteins, enzymes, hormones and neurotransmitters. Amino acids are also involved in numerous metabolic pathways that affect exercise energy levels. Why Take Premium Muscle Fuel™? Deficiencies of essential amino acids are common amongst athletes and active individuals due to a combination of inadequate protein intake along with excessive demands on the muscles associated with athletic activity. Additional reasons for amino acid deficiencies are caused by: impaired absorption of vitamins and minerals, infection, trauma, stress, drug use, age, and imbalances of other nutrients. The bottom line is that if your dietary intake provides insufficient amounts of essential amino acids this will lead to illness – a deficiency can result in numerous different kinds of negative health conditions. That’s why taking Premium Muscle Fuel™ is so important – they help to counteract deficiencies in those that have them and provide therapeutic benefits in those that don’t. Who should take Premium Muscle Fuel™? Premium Muscle Fuel™ is an ideal amino acid supplement for athletes, individuals with an active lifestyle, vegetarians, stress-related fatigue, or hypoglycemia and people with allergies. 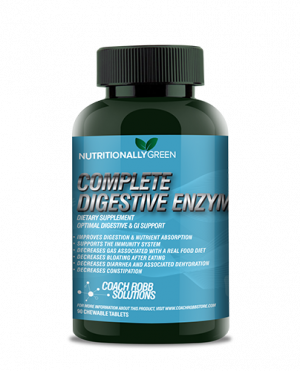 Also, trouble digesting food could be a signal of a diminishment in the production of digestive enzymes. When to start taking Premium Muscle Fuel™? 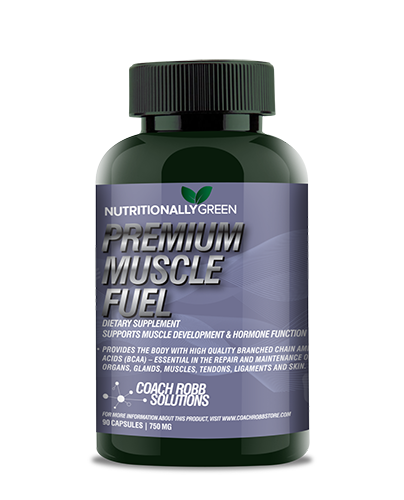 As a preventive measure, athletes and active individuals should supplement with Premium Muscle Fuel™ ensure that they are not lacking in this important supplement and reaping the associated benefits listed above. When to take Premium Muscle Fuel™? To get optimal benefits from your Premium Muscle Fuel™, they should be taken before working out or after a workout to feed and repair muscles. 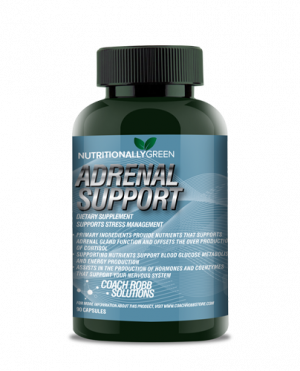 Capsule form is recommended because heat and pressure are used when developing most tablets and this process can actually destroy amino acids. What dosage should I take of Premium Muscle Fuel™? Athletes and active individuals looking to provide their bodies the rebuilding elements (BCAA’s) for a stronger, healthier body should supplement with Premium Muscle Fuel™ one (1) to three (3) times a day depending on individual goals and objectives to provide the body with an adequate supply of available amino acids to assist in digesting food.